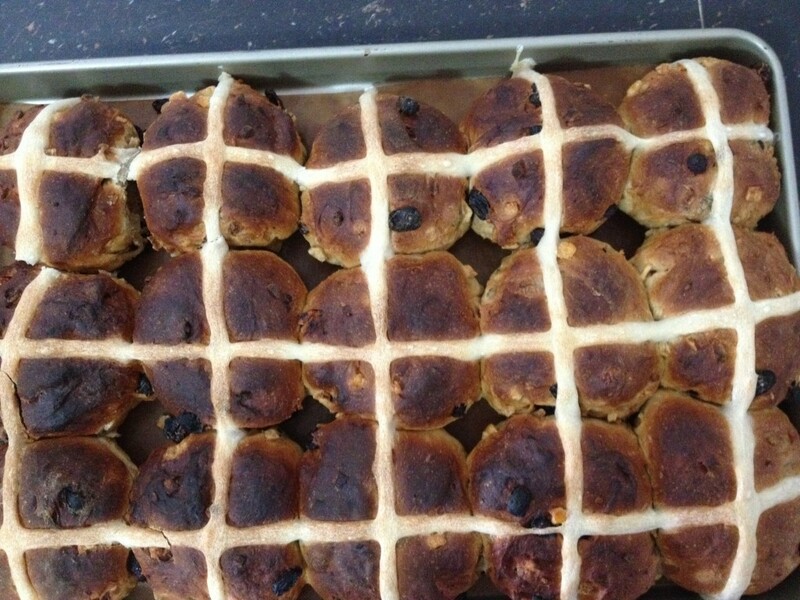 The best hot cross buns in Phnom Penh! If my previous post was months in the making, this has been years. 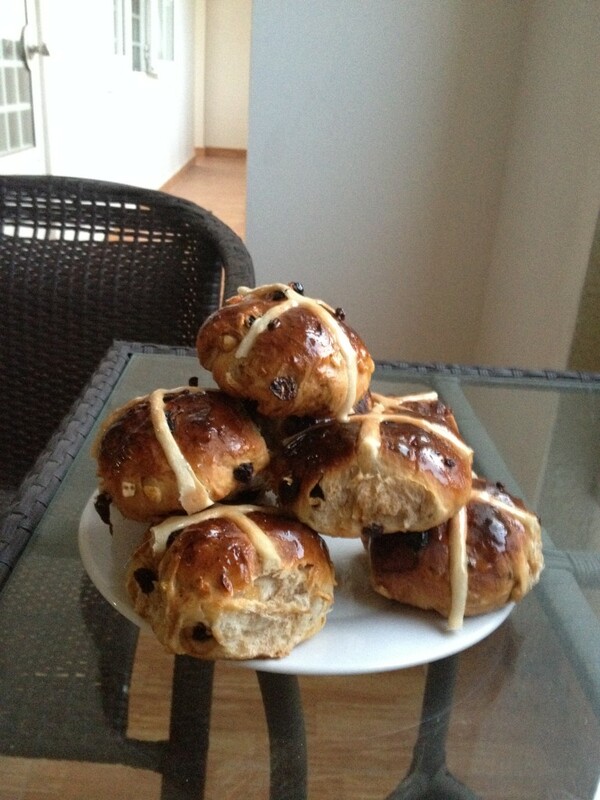 This time 3 years ago, my friend Rachel posted a beautiful photo of her freshly baked hot cross buns, complete with twinkly fairy lights in the background. What got me was that she commented on how incredibly delicious they were, much more than any shop bought variety. 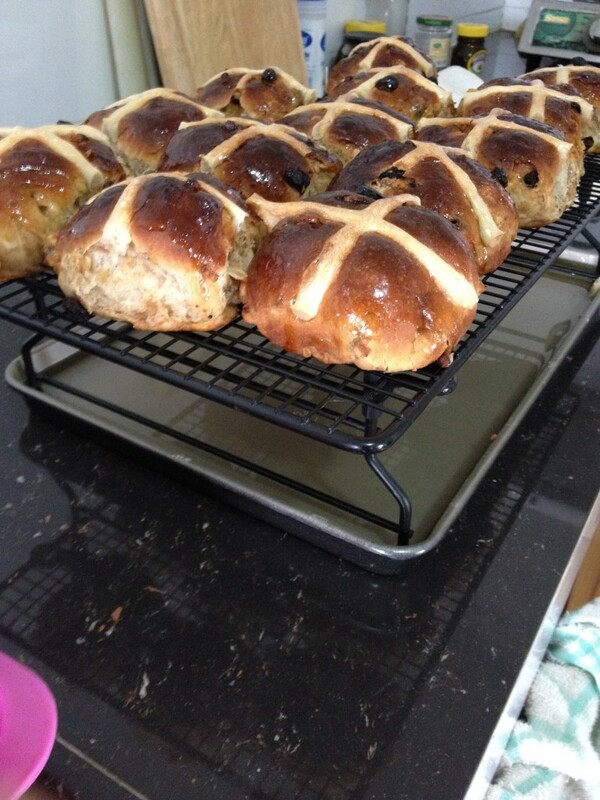 She’d used Paul Hollywood’s Hot Cross Buns recipe from BBC Good Food, which she said was overly long (two rises). Regardless, I promptly tried it out and the resulting buns were life changing to say the least. 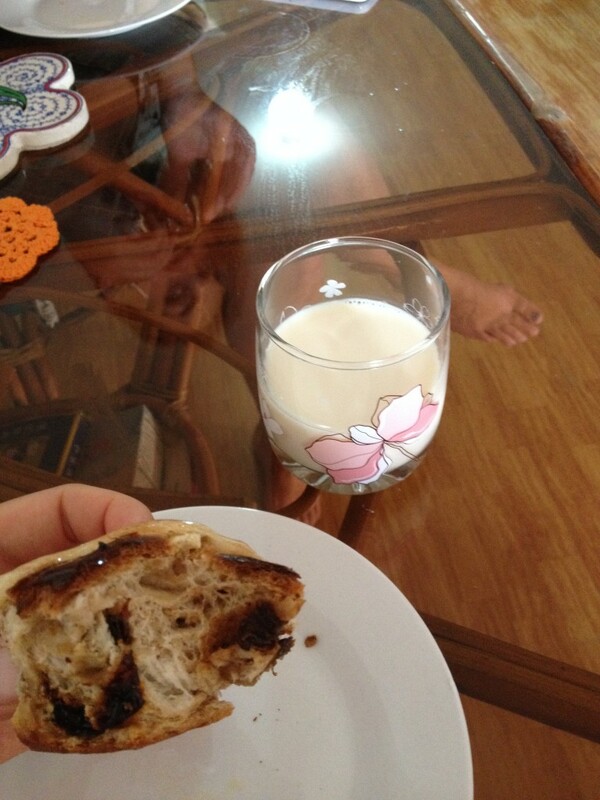 I will never buy another hot cross bun again. 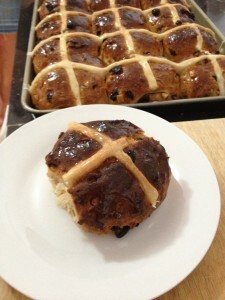 The life changing hot cross buns! These home made hot cross buns had bags more flavour and were so moist compared to any Best, Finest or Taste the Difference version. 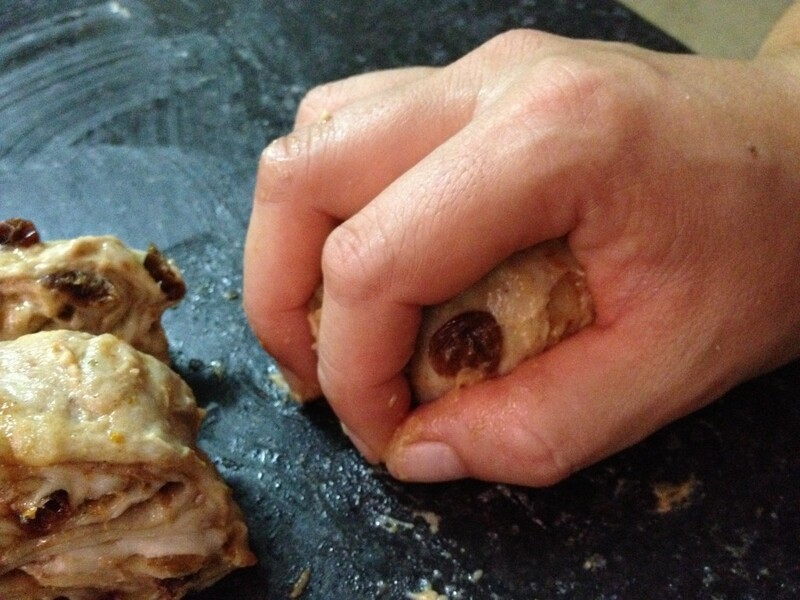 That year (the only year I made two batches of hot cross buns), I must have raved about the experience so much, that I talked another friend, Sarah into baking hot cross buns for the first time. We tried out Paul’s slightly simplified (one rise) version on BBC Food. Boom! What a taste sensation. 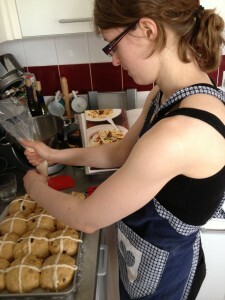 Then of course I moved out to Cambodia where you can’t buy hot cross buns anyway and baking is a bit of an adventure. 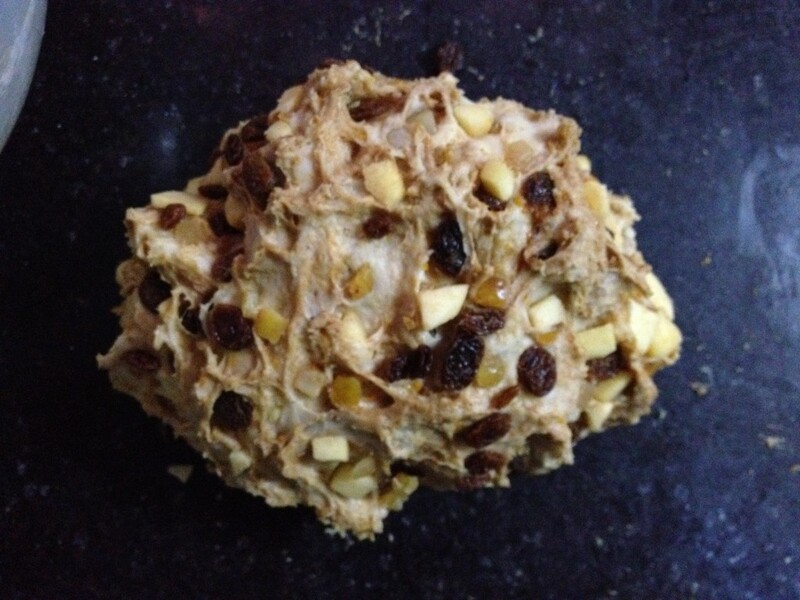 My first year, Sarah and Joe sent me mixed peel because it wasn’t available in Phnom Penh then but the yeast had died so the buns were lumpy fruit rock cakes. The second year, they tasted good but they looked anaemic: I hadn’t figured out how my oven worked. 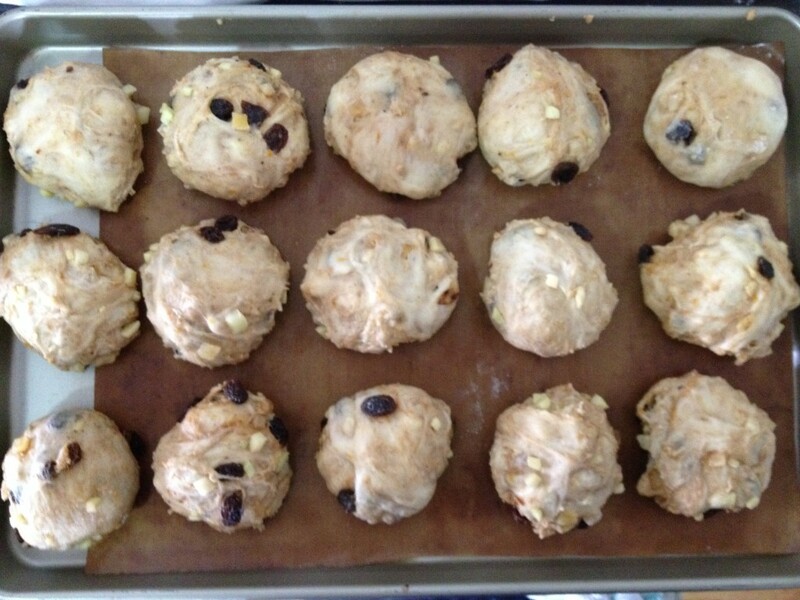 This year, post-long bike ride, unaware that it was Good Friday (which is easy to do in Cambodia), I baked my best batch of hot cross buns, since moving out to Cambodia. It wasn’t until my housemate (another) Sarah was sinking her teeth into a hot freshly baked bun and said, “It’s definitely Good Friday. 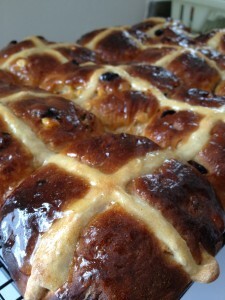 It’s definitely Easter”, that I remembered again why we eat hot CROSS buns on Good Friday. Duh – seriously, where has my brain wandered off to? But seriously, I don’t know why I don’t bake hot cross buns more often. Oh, yeah, I remember. It’s an Easter thingy. And it’s in the weird time of Lent where all my friends have decided to fast from sugar and all that, so by the time I get round to baking them, I only manage to bake the one batch. Well, this year, I’ve decided that I’m going to try out a tropical version with mangoes, ginger and lime during Khmer New Year. 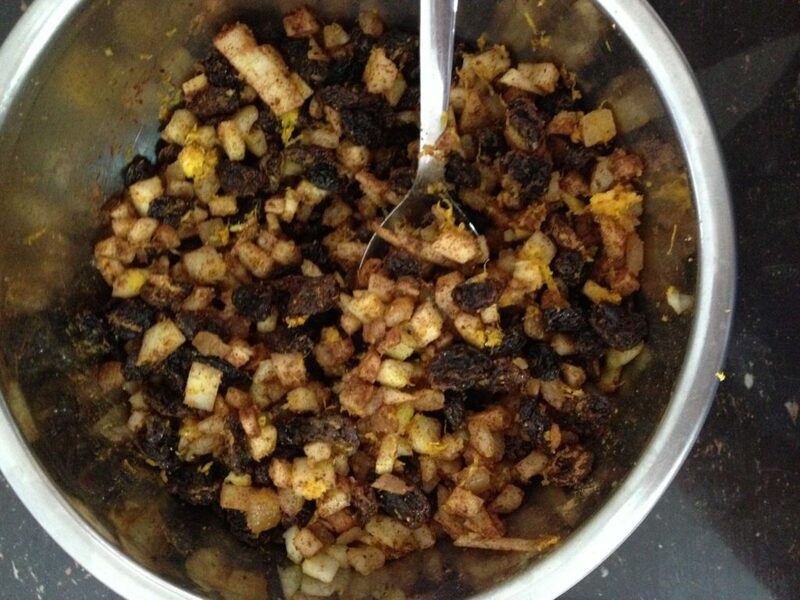 One way to keep the ants off your food in a hot country – create an island! I’ve adapted Paul Hollywood’s recipes a wee bit to add a bit more spice and replace the apricot jam glaze with an orange syrup one. No reason really, except this last time, I was too lazy to buy apricot jam didn’t want another jam jar cluttering up my fridge. I reckon it works pretty well. And I swear that at one time, I watched a Bake Off Masterclass, in which Paul Hollywood baked these and recommended mixing the fruit into the dough inside the mixing bowl. It’s much more efficient and you don’t have any bits of fruit trying to escape. It’s not very explicit in his instructions so I’ve changed that too. juice of half an orange. 1. Bring the milk to the boil and then leave to cool until it’s hand hot (i.e 37°C) . Heating the milk creates a softer dough. 2. 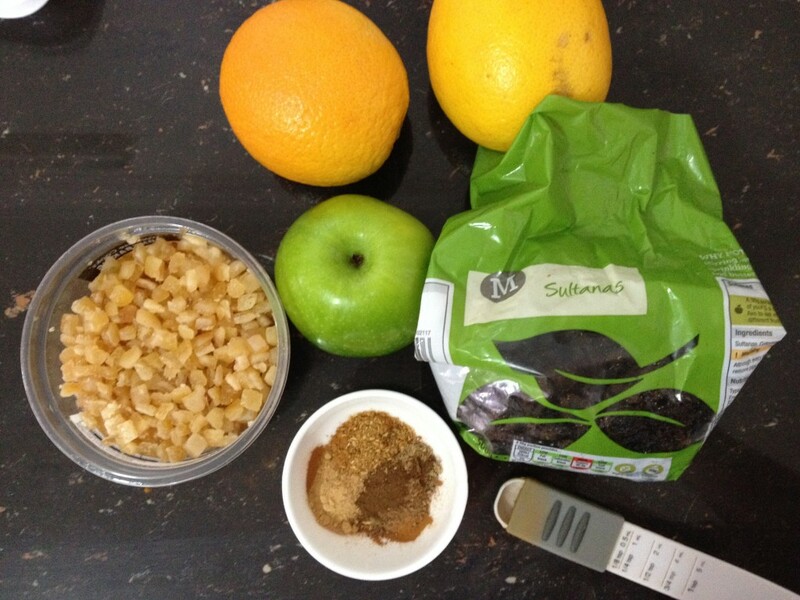 In a bowl, measure out the sultanas, mixed peel, cinnamon, mixed spice, orange zest and chopped apple, and then mix them together. 3. In a large bowl, mix the flour, yeast, sugar and salt. 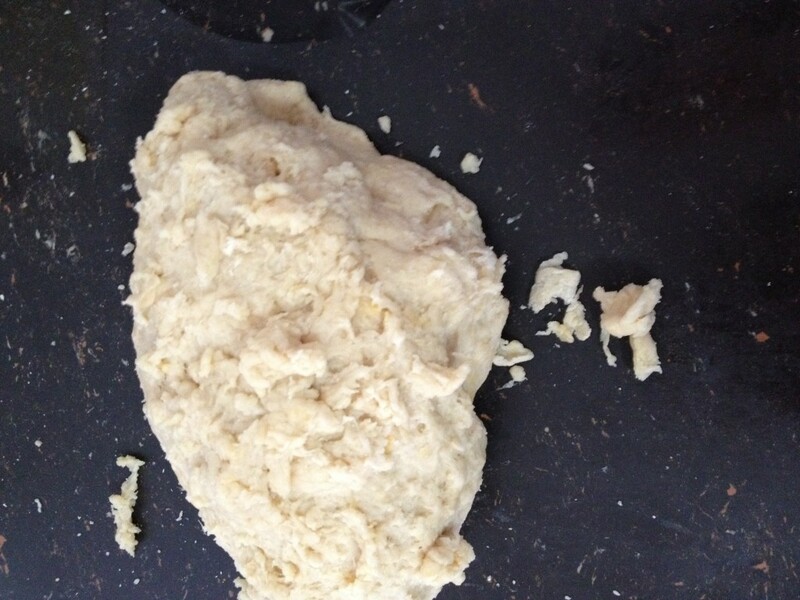 Then rub in the butter to the flour, like you’re making short-crust pastry. 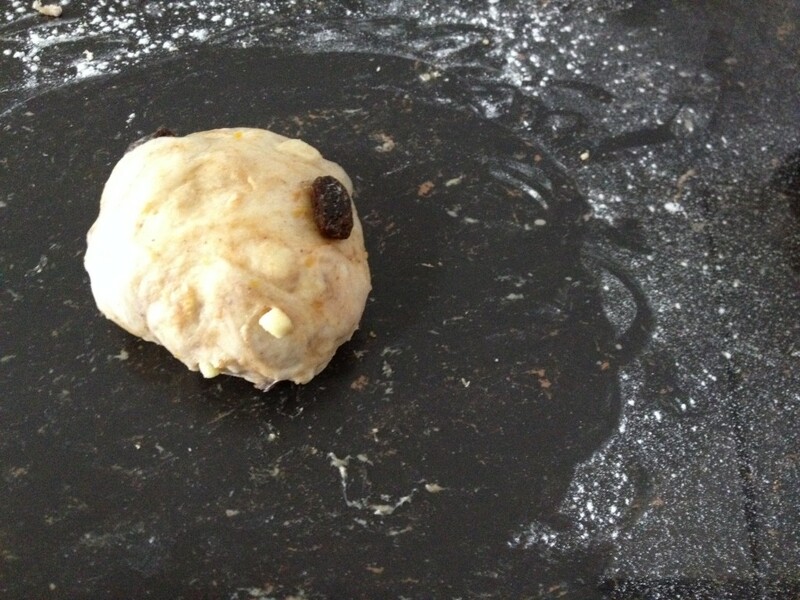 Then add the egg and slowly add the milk until you form a sticky dough. 4. 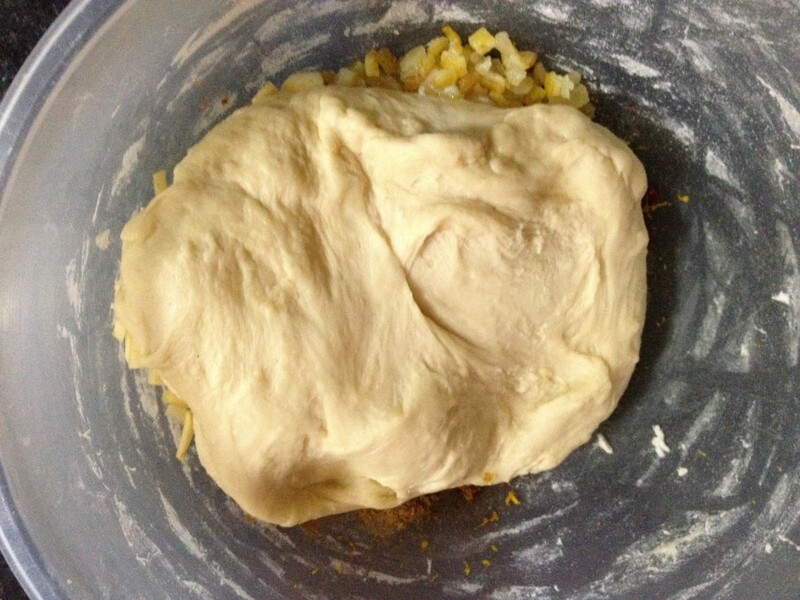 Knead the dough for about 10-20 minutes (by hand always takes longer) until it becomes smooth and elastic. 5. Now mix in the fruit. Add the fruit into the large bowl and then spread the dough on top of the fruit so that the fruit is fully covered by the dough. 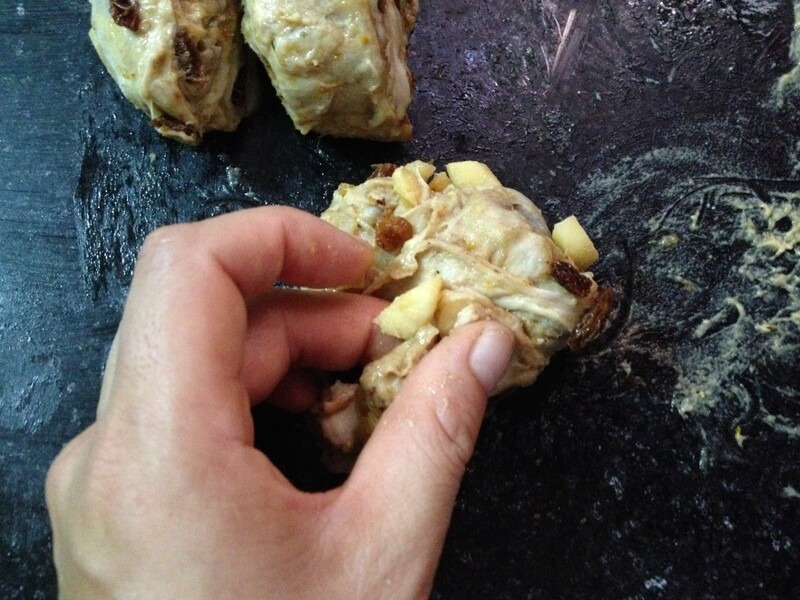 Then gently try and wrap the dough all around the fruit so that the fruit is fully enclosed. Don’t worry if you can’t entirely. 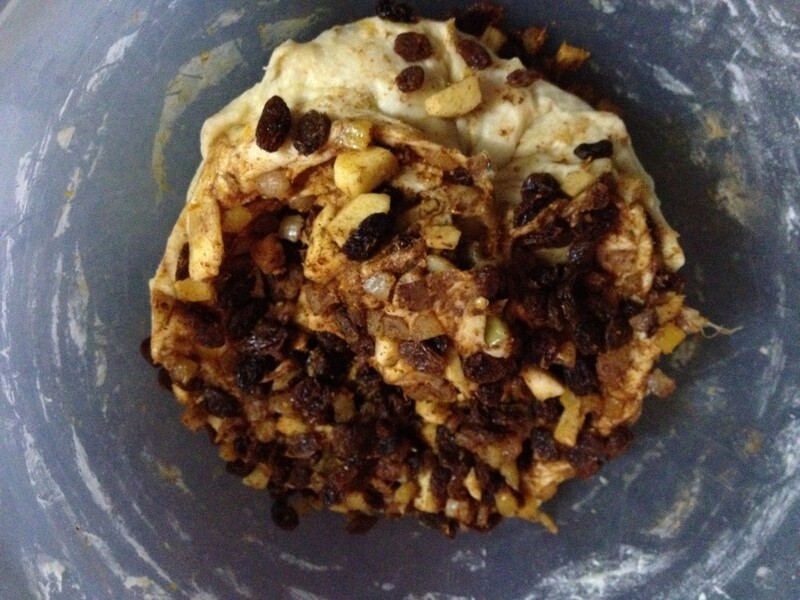 Then gently massage the fruit into the dough so that the two are thoroughly combined. Empty it out onto the side. 6. Grease the large mixing bowl using a tablespoon of sunflower/vegetable oil, add the dough back in the bowl and cover it with cling film. Rest the dough for about 1-2 hours until it has doubled in size. 7. Line a baking tray with baking paper. 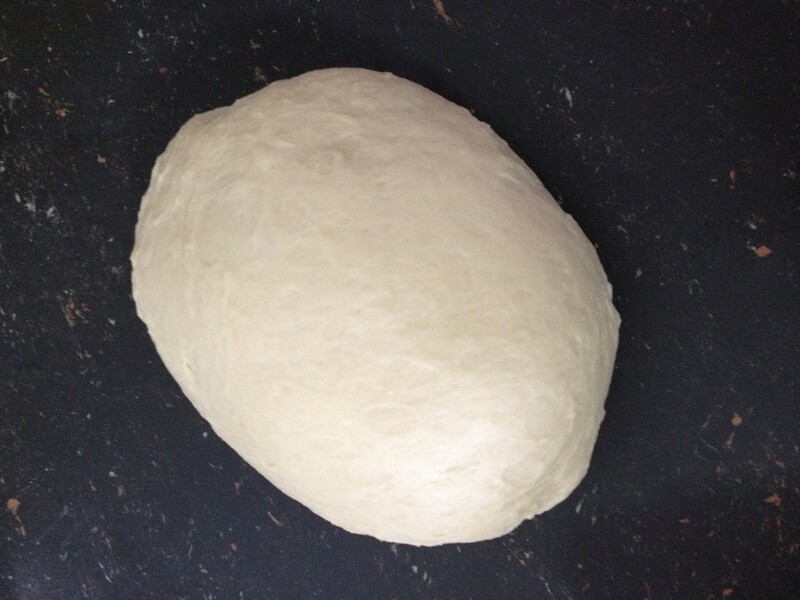 Once the dough has risen, turn the dough out onto a lightly floured surface, and strengthen it. Bring one side into the middle and press firmly with the palm of your hand, do the same with the other side, then both sides together and press firmly. Roll out a bit to so that it’s easier to divide. Divide into 3 equal parts and into 5 again, so that you have 15 pieces altogether. 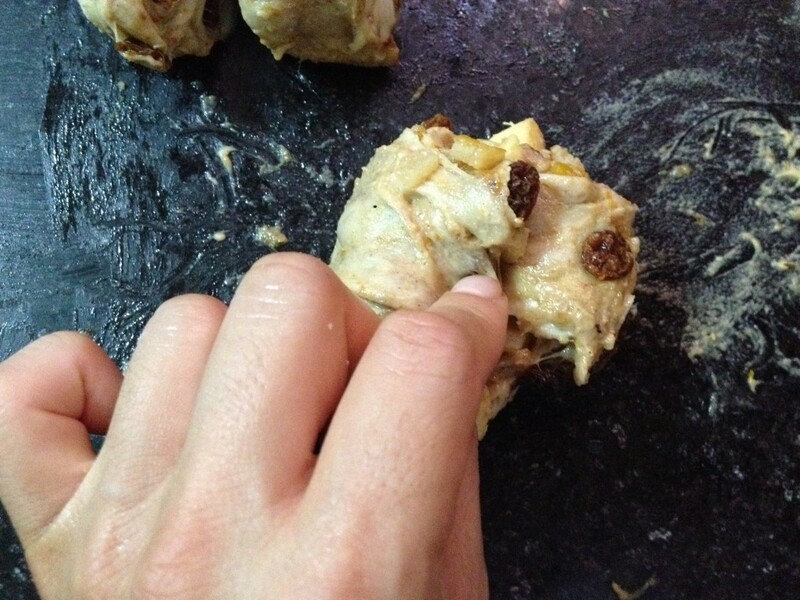 Lightly flour the surface in order to roll each piece a smooth ball. Arrange the buns on a baking tray lined with baking paper, leaving just enough space so that buns touch when they expand. Lightly cover with oiled clingfilm or a damp tea towel. Leave to rise for an hour. Top tip: to roll the balls, turn the sides into the middle, then turn over so that the seam side is on the bottom. Make your hand into a claw shape and roll the ball inside your claw and move your hands quickly in circles – et voilà, smooth balls! 8. Pre-heat the oven to 220°C/425°F/Gas Mark 7. 9. Meanwhile, prepare the mixture of the crosses. Measure out the flour. 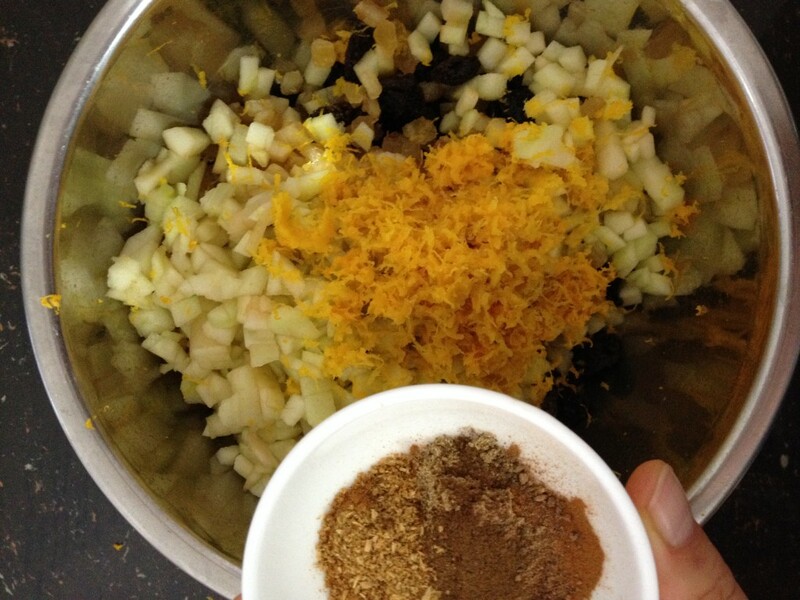 Add in the water, 1 tablespoon at a time, until it forms a smooth, thick paste. It needs to be pipe-able, not too thin so that it disappears when it bakes and not too thick that it’s impossible to pipe. Put the paste into a piping bag. 10. 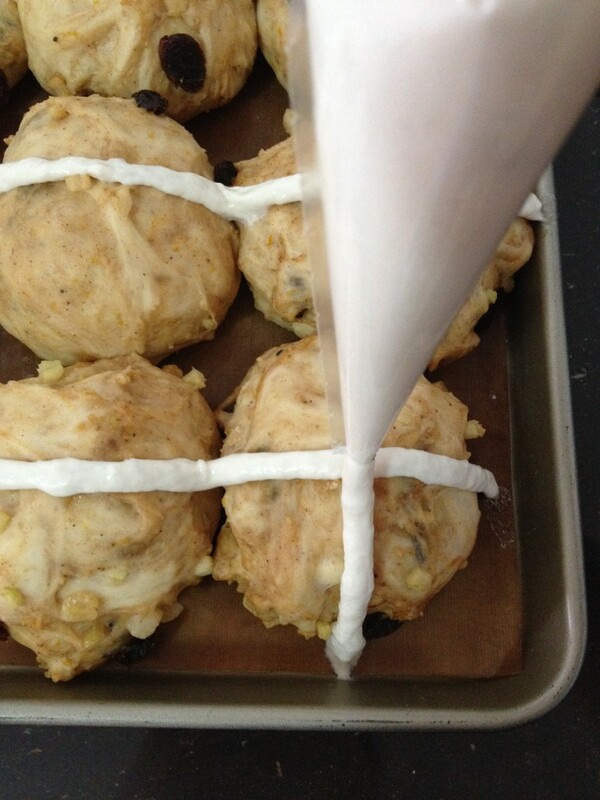 Once the buns have risen, pipe crosses onto the buns, by piping a line along each row of buns and then repeat in the other direction. The crosses want to hug the sides of the buns. 11. Bake on the middle shelf of the oven for 20-25 minutes, until golden brown. 12. Measure out the sugar and orange juice into a small saucepan and melt the sugar over a gentle heat. Brush the orange syrup over the warm buns and leave them to cool. 13. Gently break the buns apart and enjoy. Verdict? 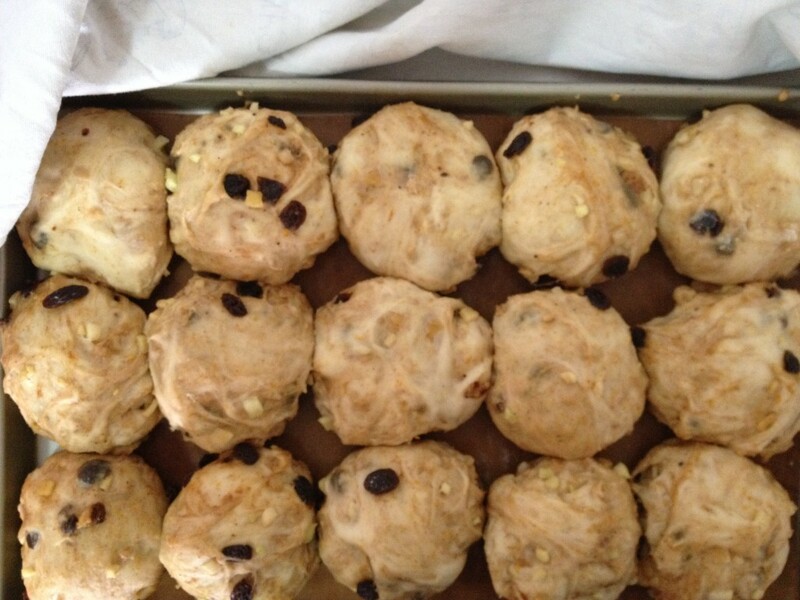 They were the best hot cross buns in Phnom Penh! 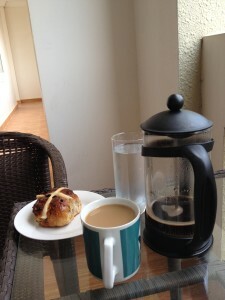 The perfect easter breakfast – coffee and hot cross buns!